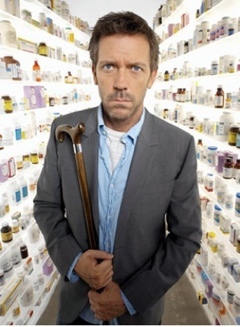 House. He loves the complicated stuff. I’m recovering from pneumonia at the moment. The early stages involved five days in hospital and a fantastic opportunity for some ‘hands on’ NHS user experience. I’m not recommending anyone interested in the workings of the NHS gets sick, but it doesn’t half give you an insight. Stage Activity / Response Achieved? Apparently I’m a fit (oh yes), healthy (cool), handsome (I put that bit in), and YOUNG! (It’s all relative). The pneumonia is a common one, very treatable, and as such it isn’t of much interest to the medics. the ward rounds. My turn arrives, the medics work out its ‘in the bag’, and it’s all eyes darting down the list to whose next. Meanwhile the consultant goes through a few niceties with me. Anyone with complications like a heart attack, pneumoconiosis, blood clots, anything, and they were flocking around like vultures. At the centre is the consultant holding court, “now young Miss/Mr Brighteyes, your diagnosis would be….. “, it was like watching auditions for the next series of House. They really do love complicated stuff. Anyway, I’m not complaining. It’s really good to be a simple problem, thanks for fixing me. Experts love to focus on the complicated things. That’s just the way it is. This can leave some of the simple stuff unattended, and at risk of slipping into a chaotic state. Have a look at Cynefin Framework which explains this really well. Being a patient is great place to observe what’s going on, but I wouldn’t recommend it as part of a routine business improvement technique. And isn’t it frustrating when you’re on the receiving end of an expert who’s forgotten to reconfigure what they’re going on about for the uninitiated? What a lovely blog, haven’t come across it before and will revisit.